I like that this one has whole phrases seemingly at random. Maybe they stole them from legalese and didn't want to use them unironically. Thanks, Amy. 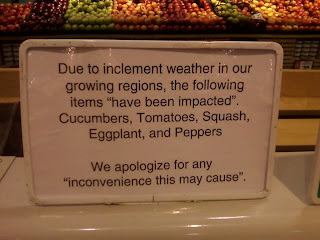 So if those items have actually not been impacted, does that cancel out the apology? 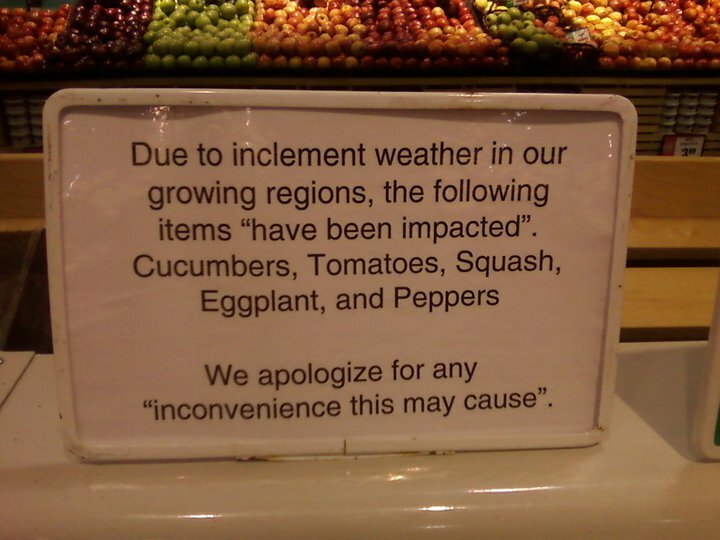 Or does it make it a convenience instead of an inconvenience? Oh, my head hurts. Awesome random quotes, AND the periods on the outside. A fine submission.